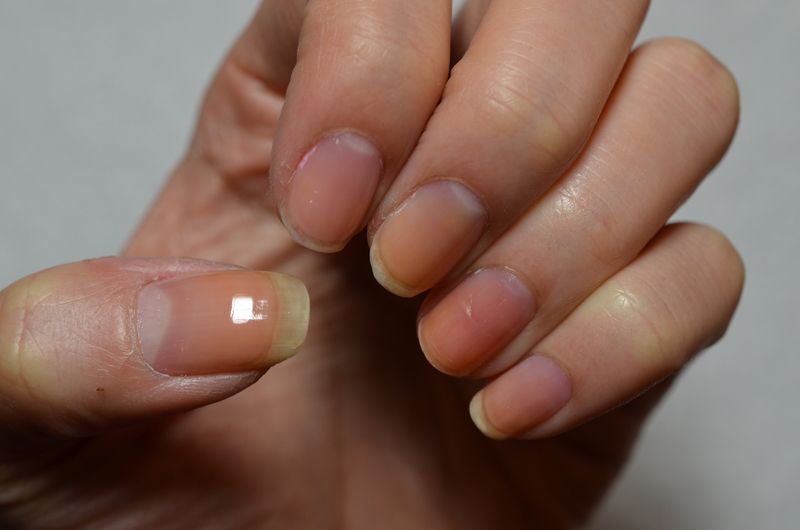 Step 1: Apply base coat (Natural Nail Base Coat) to protect your natural nail. Step 2: Apply 2 coats of white (Alpine Snow by OPI) on thumb and middle finger. Also apply 2 coats of bubble gum pink (Pink Cadillaquer by Sally Hansen Miracle Gel) on the rest of the fingers. 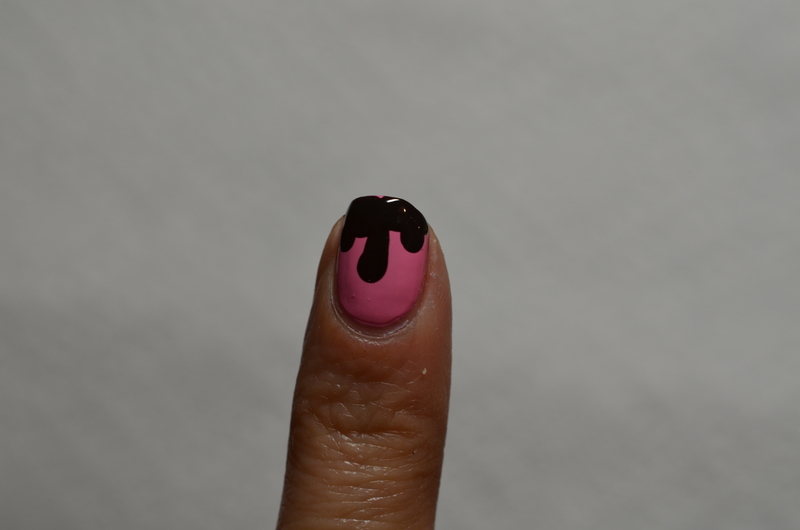 Step 3: Dip the largest dotting tool in dark brown polish (Partner in Crime by Essie) and start to drag the dotting tool from the middle of the finger to the tip. 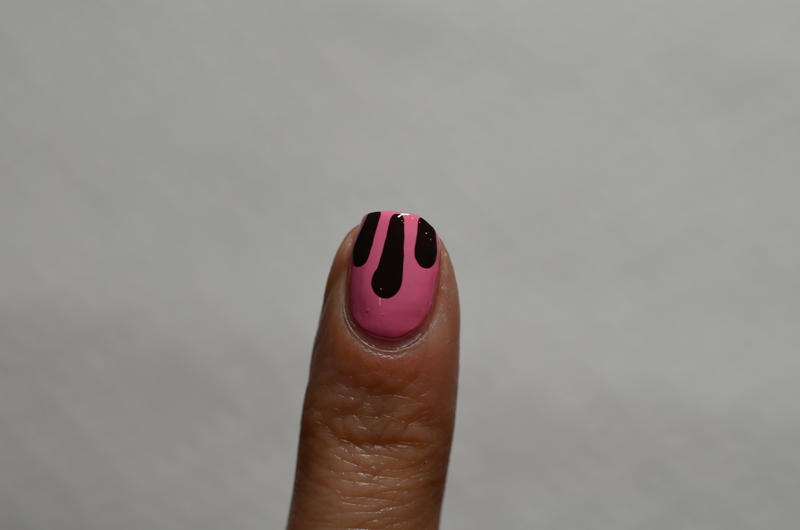 The line should be thickest from the middle and thinnest at the tip of the finger. 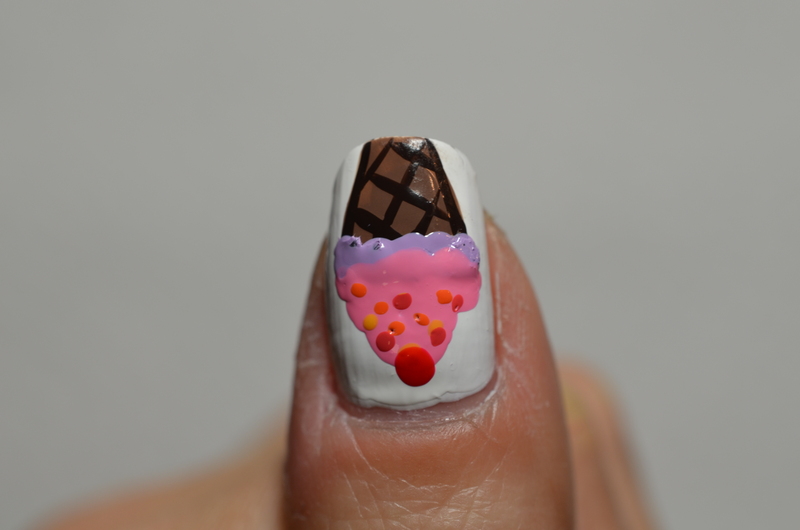 Step 4: Use the same brown (Partner in Crime by Essie) and fill in the gaps between the 3 lines to make it look like chocolate dripping. 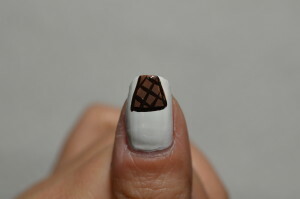 Step 5: Dip the toothpick in white (White On by Sally Hansen) and draw short lines on the dark brown chocolate dripping. The reason why we use white to draw short lines is because if we don’t, the colour sprinkle won’t show up on the dark brown. 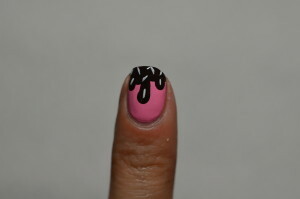 Step 6: Dip the toothpick in many different colours to create sprinkles. 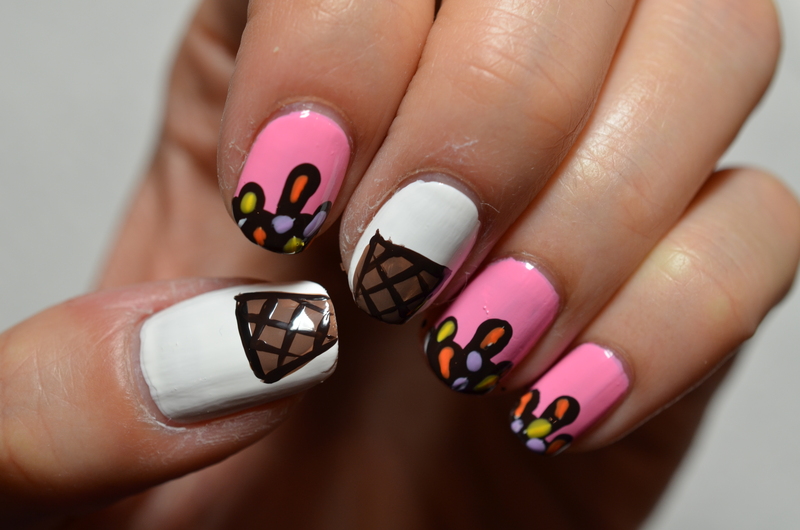 Repeat the same steps for ring finger and pinky. 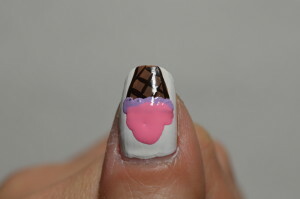 Step 7: Use a lighter brown (Fierce, no fear by Essie) to create the ice cream cone. Use the nail polish brush and start drawing the cone from 1/3 of the way of the nail. All you need is 3 strokes. 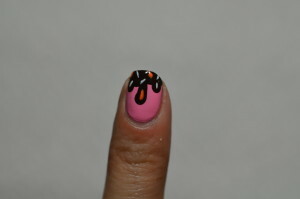 One stroke diagonally from the right to the tip, one stroke diagonally from the left to the tip and one stroke horizontally to connect the two diagonal lines. If there’s any gap, just fill it in. Step 8: Dip the toothpick in dark brown (Partner in Crime by Essie) to outline the cone and also draw the cone pattern inside the lighter brown. Step 9: Use the largest dotting tool and dip in a light purple (It’s Hippo to Be Square by Sephora by OPI) to dot along the horizontal part of the cone. It would be best if you can overlap the cone a little. 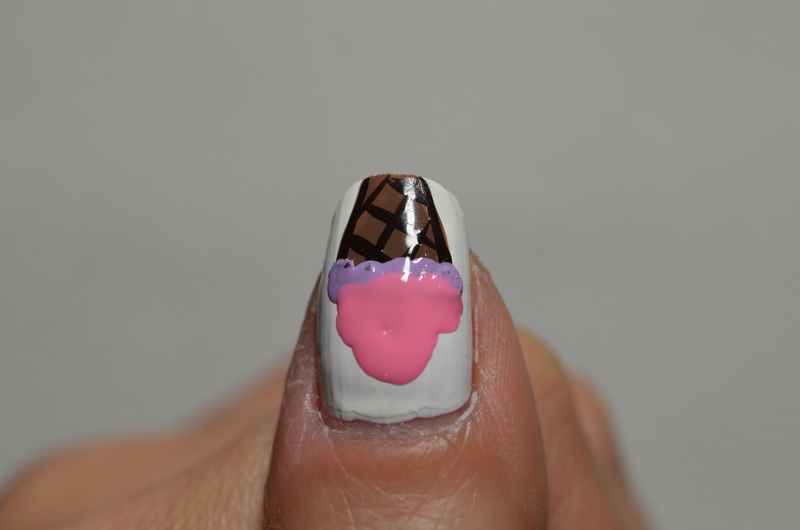 Step 10: Use the bubble gum pink (Pink Cadillaquer by Sally Hansen Miracle Gel) to create the ice cream. 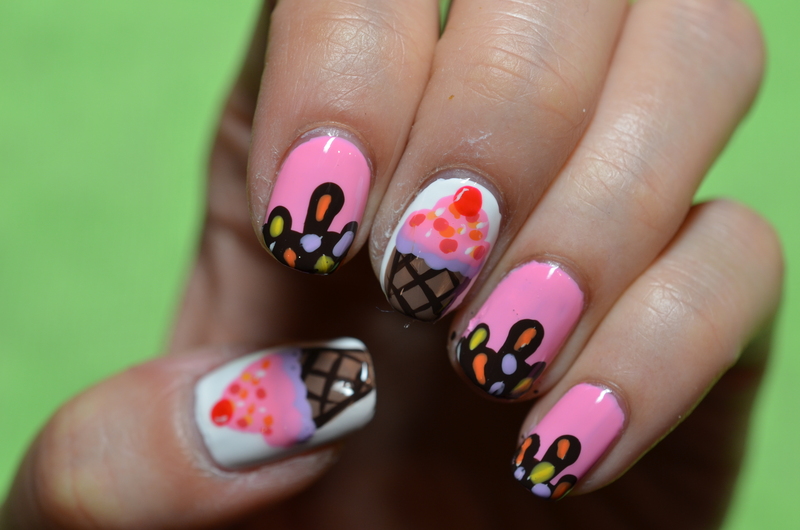 Step 11: Dip your toothpick in different colours to create sprinkles on ice cream. 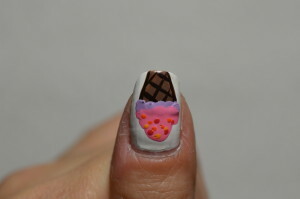 Step 12: Finally, use the largest dotting tool to create a cherry (Red Cherry by Sally Hansen) on top of the ice-cream. Thank you very much for reading. 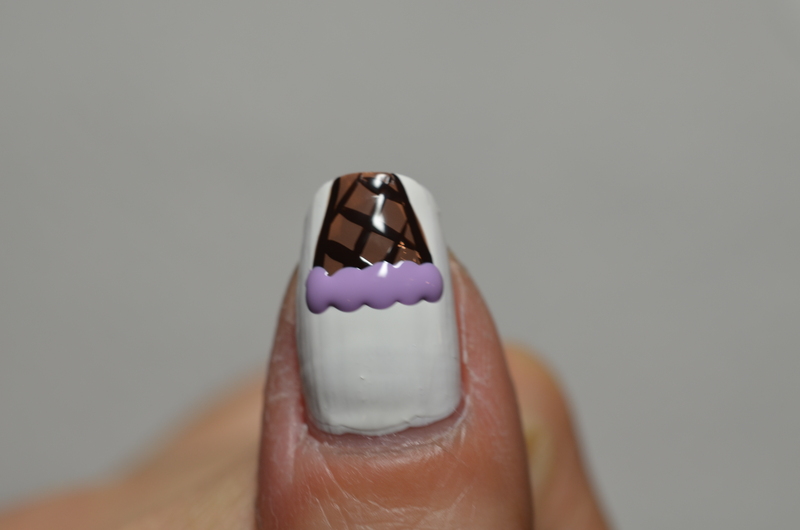 I hope you enjoy this delicious design. 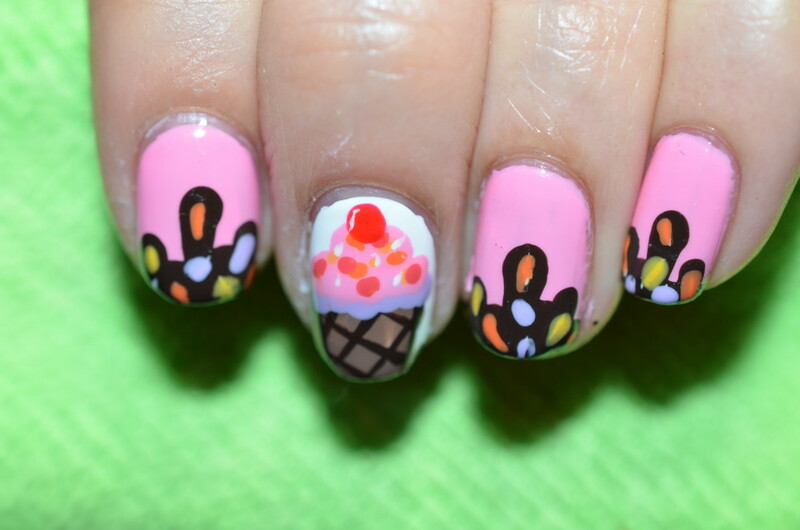 Please share your re-creation with me on my GlitterMommy Facebook Page. Let me know what other designs you would like to see. I am more than happy to come up with design that you guys want.